Practice owner Rebecca Johnson, DVM, graduated from Iowa State University College of Veterinary Medicine and has practiced veterinary medicine for over 20 years. 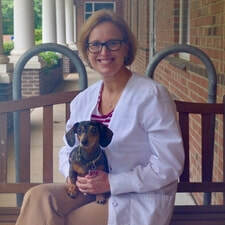 Before joining Mallard Creek Animal Hospital in 2010, she owned a veterinary hospital in Atlanta and worked for several years in the Lake Norman area. Dr. Johnson's special interests include internal medicine and endocrinology. Dr. Johnson is an avid reader and also enjoys knitting, photography, and scrapbooking; however, she is happiest spending time with her family. Often, she is found cheering on her children either at the softball field, pool, volley ball court or at the cross country finish line. Dr. Johnson and her husband live in the Highland Creek area with their two children, two dachshunds, one Petit Basset Griffon Vendeen, one cat and a finicky Amazon parrot. Dr. Fluke started her animal care career looking after goats at the Duke University Field Station, then on a dairy farm in upstate New York. Imagine her surprise when she ended up as a small animal veterinarian! She earned her BA at Oberlin College in Oberlin, Ohio, then her veterinary degree from North Carolina State University in 1986. She completed an internship in small animal medicine and surgery at Purdue University before moving to Charlotte in 1987. She enjoys all aspects of veterinary practice but often finds herself focusing on surgery and behavioral issues. Dr. Fluke has just celebrated 25 years at Mallard Creek Animal Hospital. Dr. Fluke is a charter member (and currently president) of the Caroline Petit Basset Griffon Vendeen Club and enjoys showing her PBGVs. She does scent training and participates in hunting trials with her dogs. When not working or cleaning up after her dogs, she can be found in her garden, or playing music with the Charlotte Folk Society. 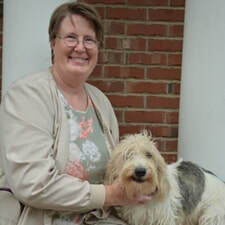 Laurie Anne Walden, DVM, has been with Mallard Creek Animal Hospital since 1995. She earned her undergraduate degree from the University of South Carolina and her doctorate in veterinary medicine from North Carolina State University. After graduation, she completed an internship in small animal medicine and surgery at Auburn University. 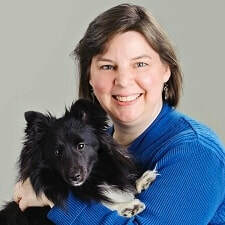 After several years as a full-time veterinarian, Dr. Walden now works at Mallard Creek part time and also works from home full time as a self-employed medical writer and editor. She considers herself lucky to be doing two jobs she loves: helping pets and working in medical communication. Dr. Walden lives in Charlotte with her husband, two children, and two dogs (one of unguessable heritage and one Walker coonhound who probably landed at the shelter because he doesn't like loud noises other than the ones he makes himself). Dr. Anna Ponce is originally from Richmond, Virginia and completed a bachelor's degree in Animal Science at Virginia Tech. She obtained her doctorate of veterinary medicine from Ross University, located on the island of St. Kitts, and completed her clinical year at the University of Illinois. She recently moved to the Charlotte area, from Chicago, with her husband and is excited for some warmer weather! She has a special interest in dentistry, oncology and dermatology. In her free time, Dr. Ponce enjoys traveling, spending time outdoors, gardening and watching movies. She also enjoys spending time with her three dogs, Cooper, Pinky and Georgia. Dr. Duckwall is a native North Carolinian. He grew up in Statesville and was known as the kid with "all those animals". He graduated from NC State in 1976 with a BS in Zoology and received his doctorate of veterinary medicine from Auburn College in 1980. Dr. Duckwall has practiced in Charlotte ever since. He especially enjoys Feline Medicine and Behavior. 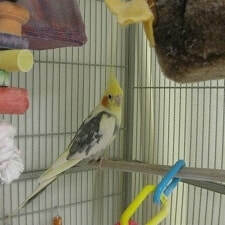 He and his wife Ann share their home with their 4 cats, Neo, Elmo, Alex and Murry. When he is not at work, he enjoys being outdoors, hiking, camping, fishing and road cycling. Elyse Roseman has lived in Charlotte for 27 years. She graduated from University of North Carolina at Charlotte with a degree in sociology. Elyse worked at Mallard Creek Animal Hospital for over 11 years as a veterinary assistant and client services. She also has experience with veterinary inventory management and manufacturing sales. MCAH is thrilled to have Elyse return as the new practice manager. When not working, she can be found riding and spending time with her Arabian mare, Scarlett, and enjoying other outdoor activities this area has to offer. ​The client service team goes out of their way to schedule your appointment, answer your questions and help you and your pet in any way they can. With a combined experience of over 30 years, they are the best. Don't hesitate to ask for Michelle, Kim, Casey, Jen or Rachel. Mallard Creek prides itself on treating your pet like it is one of our own. That superior patient care overseen by our veterinary technicians. Our licensed and trained veterinary technicians are Christine, Harold and Pam. Our assistants are there to help the doctors and technicians with patient care. In addition, they keep the flow of the hospital moving with everything from admitting patients to cleaning exam rooms. Kate, Bree, Katie, Adyson, Allesandra Maria, Casey, DJ, Susan, Adam, and Annika are happy to jump in where they are needed. Merlin has been with Mallard Creek since 2007. He loves playing host at the front door when everyone comes in. He has learned to bark with the dogs, meow with the cats, and "wolf whistle" at everyone. His very favorite noise is the fire truck. Please stop by and whistle a tune with him.